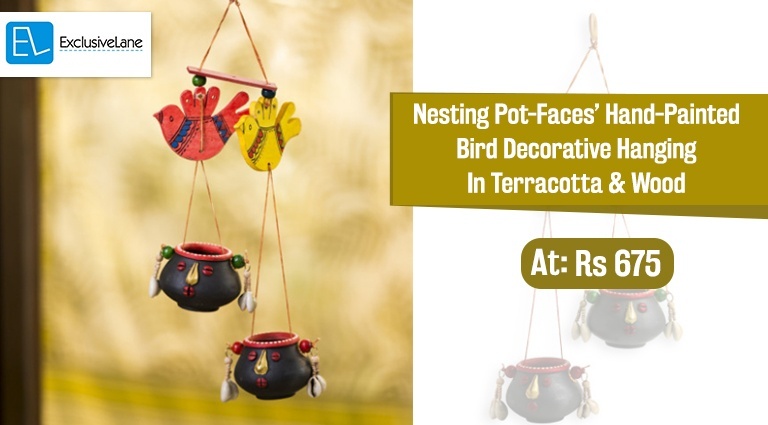 Skilfully handmade and hand-painted in wood and terracotta by craftspeople from the interiors of India, ‘Nesting Pot-Faces’ is a rustic decorative hanging charm that captures the beauty of nature’s fascinating treats for your favourite spaces and can be used as mini planters as well as bird feeders. Two birds handmade in wood and hand painted in yellow-orange tones with delicate details are threaded together to carry a pair of little stone-grey handmade terracotta pots embellished with rustic tribal facial features, complete with jute headgear and shells. 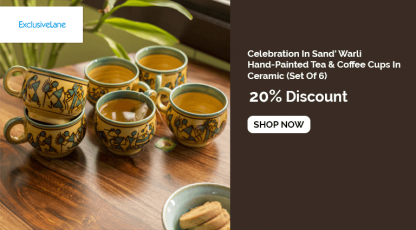 This earthen hanging charm, handmade with love, is finished with bold beads, bringing the soft essence of the earth’s elements with passing winds, twirling feel good rhythms that liven up any space.